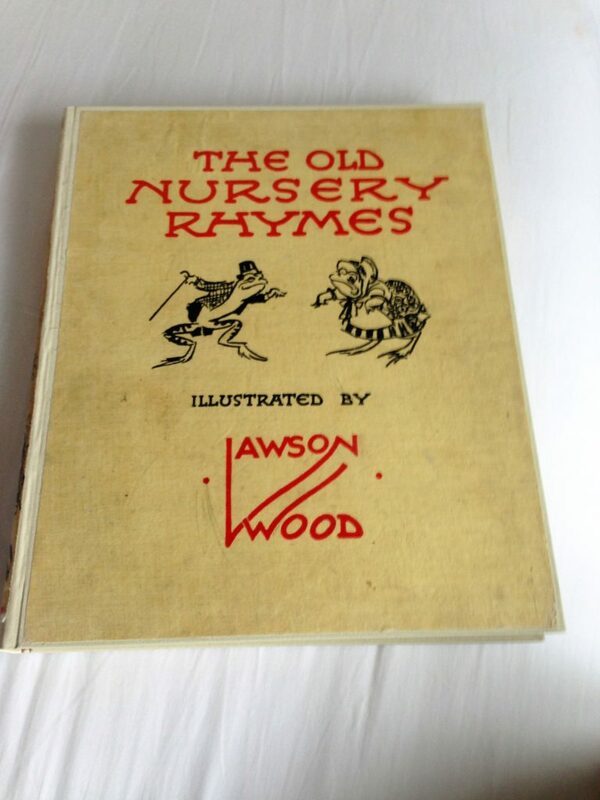 This much-loved book of nursery rhymes had seen better days. Numerous paper repairs were needed to restore the centre folds of the double-leaves to allow re-sewing. The book was resewn on tapes with a Japanese paper hollow added for additional strength. 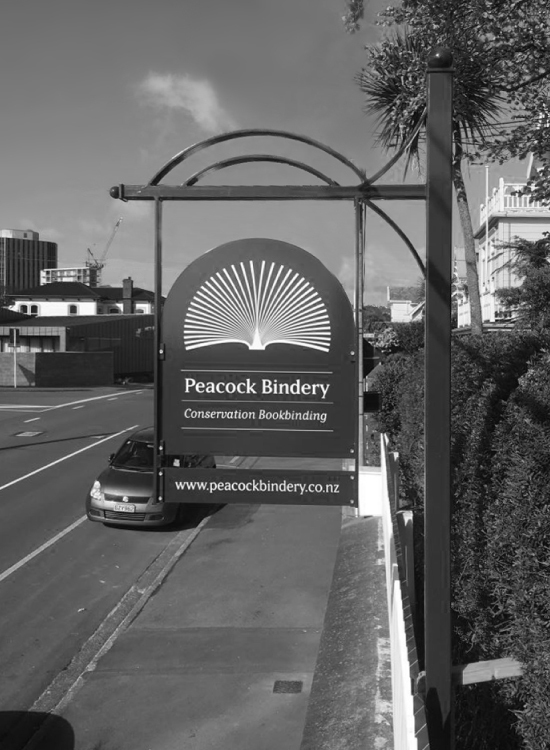 Matching cloth was used to make a new spine and a new case was made re-using the existing boards. Endpapers were made of Japanese decorative paper featuring flying cranes. 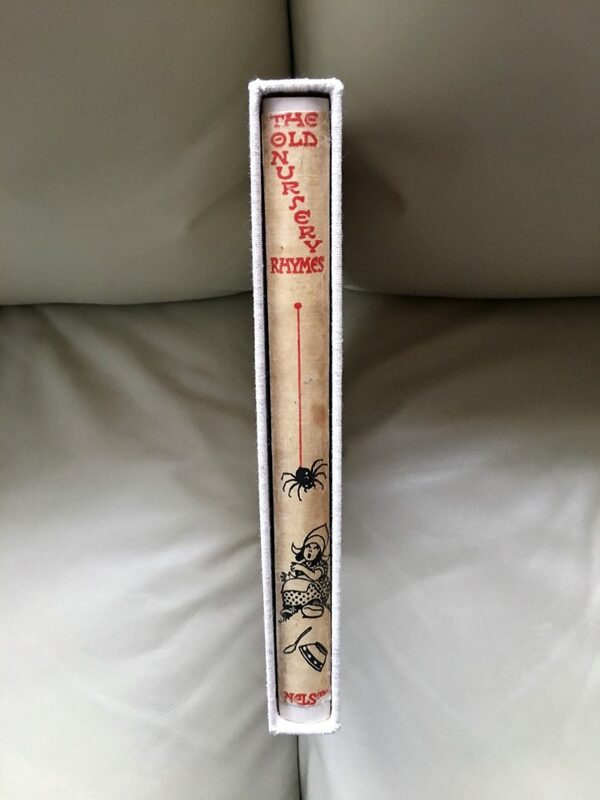 The book was re-cased and the original spine cloth glued to the new spine. A slipcase was also made. 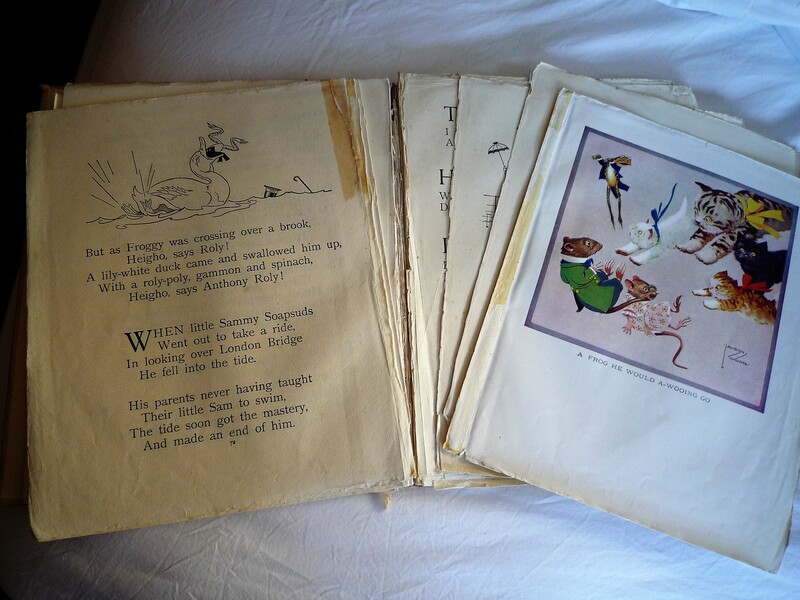 The Old Nursery Rhymes: damaged pages. 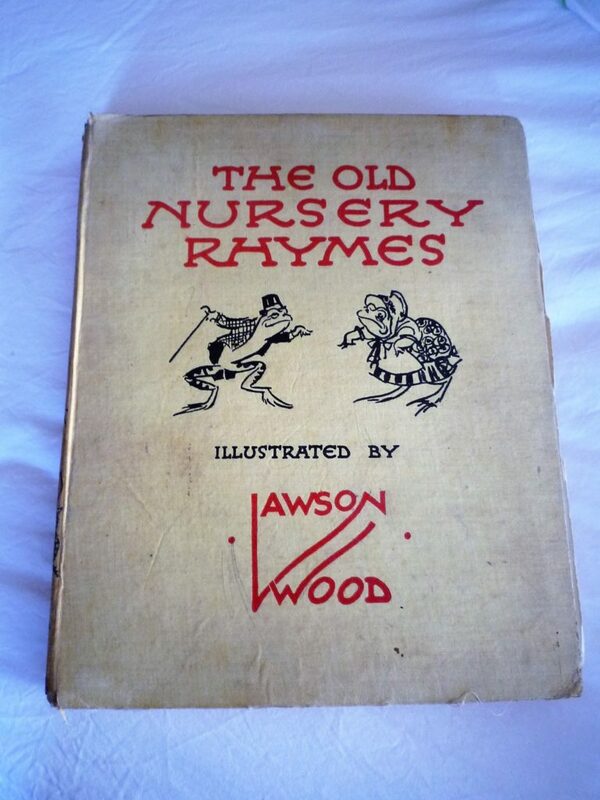 The Old Nursery Rhymes: front cover after repair. The Old Nursery Rhymes: repaired book within new slipcase.